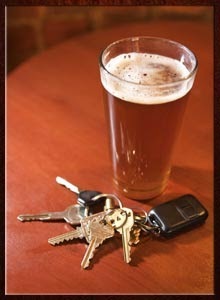 New Hampshire may now allow first time violators of the drunk driving laws to continue driving. A new bill is being debated, according to which the first time drunken driving offenders are allowed to drive. However this is applicable only when the drivers can switch on the ignition systems, pass the ignition interlock device test, and show their licenses. On a Wednesday January 29th 2014, Bill HB 496 was passed by the House and is waiting for approval. According to the State lawmakers, it has been formulated for the sake of the new convicts whose forfeited licenses may result in their losing of jobs or dropping out of schools. What is an Ignition Interlock Device? How Will it Be Used? An ignition interlock device will be used in order to check the level of alcohol consumption among the drunken drivers. This device is an extremely small instrument that will be installed near the driver of any vehicle. This instrument requires a breath sample of the driver before he starts off his engine. The engine of the vehicle operated by the convicted driver will not start, if the sample has 0.02% or greater concentration of blood alcohol. In fact, this ignition interlock device is designed with the aim of reducing the alcohol driving related crimes and also to help the intoxicated drivers – drive with ease. According to the MADD (Mothers Against Drunk Driving) reports, deaths from drunken driving can be reduced up to 30% if the interlock laws are ensured. Both the ignition interlock devices and the new bill have the full support of MADD. MADD had already been a strong proponent of the IISD as these instruments can be of much help for drunken drivers. It helps to ensure that the drunken drivers do not commit the same crime and it also saves them from losing their licenses. Statistics reports have shown that about the 70% of the individuals convicted of first time DWI offence have illegally driven their cars even with the suspension of their licenses. So, this new bill will now allow them to do the same, without experiencing any legal hurdles. According to the current laws of New Hampshire, a person convicted of DWI can experience license suspension from 9 months to two years. This again will negatively affect their work and personal life. The proposed bill has mentioned that the drivers charged of DWI, will have to get an IISD installed in their vehicles. They also have to pay an amount of $80 and $50 for the maintenance of these devices and for procuring a special privilege license. There are also many individuals who are against this proposed bill. Many of them feel that license suspension is absolutely essential for the drunken driving convicts. They believe that if a drunken driver’s license is not forfeited and if he is only required to pay a fine, then he might not take the matter seriously and repeat the same incident in future. Thus this bill though criticized by some, turns out to be an alternative from which many individuals can benefit. A DWI offender will still have to pay the penalty of maintaining his IISD device and pay for the special license. Besides this, the offenders can save their jobs, and the risks of drunken driving too can be reduced considerably.